Welcome to Team Casablanca’s page! What can we say… we are a bunch of fun-loving, erratic, eccentric, unconventional artists who are in love with what we do…photography! We can easily laugh at ourselves. We would go to unchartered heights just to be able to capture what our inner eye has visualised for us. We like to be different and we like are photography to be different also. We are what you would call the indie photographers of this era. Photography is real passion that all share within our group and when you have such a passion for something such as photography it’s easy to show your love for taking capturing the moment. We get our inspiration for our photography from every person, object, event, dog or cat we have photographed and strive to work better and harder with each day that passes us by. Our style is very relaxed, no getting bored, no lengthy photo shoots, no unnatural poses, just who you are and what you are and the beauty that lies within you. Our photographers are here to provide every single client with the perfect photos and we strive to provide the highest standards of photography on every project we work on. From capturing a wedding through to celebrations and parties we are here for you. Weddings are a real passion for the team as its the perfect time to capture the coming together of friends and family to celebrate a really special day. 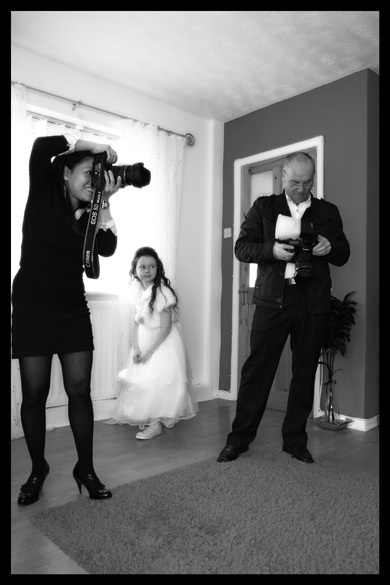 A wedding is something to be cherished and our wedding photographers will be here to capture that special day in a very relaxed and non-intrusive manner. We can also provide Wedding Photography story books so that you will be able to enjoy that special day over and over again. Visit our wedding gallery for some examples.